Take on a new level of ease in the backyard with the RYOBI 18V ONE+ 1.3Ah Line Trimmer Kit. This unit has been engineered to make any line trimming or edging simpler than you ever thought possible. Weighing in at only 1.6kg, you’ll barely know you’re holding it as you move through the backyard. The dual handles give you ultimate control of the trimmer. 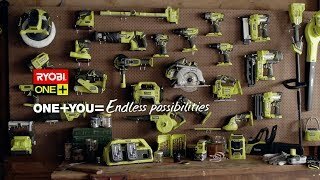 Don’t let the light weight fool you – the RYOBI 18V ONE+ 1.3Ah Line Trimmer Kit comes with everything you need for a job well done. The Easy-Edge capabilities mean you can rotate the head and go from trimming to edging in the blink of an eye. When trimming, the 25mm cutting path makes for efficient cutting of grass and weeds. Included with the trimmer is a RYOBI ONE+ charger and 1.3Ah battery to get you going. With maximum ease and control, the RYOBI 18V Line Trimmer 1.3Ah Kit is the ultimate solution to simplifying gardening. Grab the RYOBI 18V ONE+ 1.3Ah Line Trimmer Kit from your local Bunnings Warehouse.